Martha's "Good Things" column has been a fixture in Martha Stewart Living magazine since its inception in 1990. Not a single issue since has been without this tried-and-true collection of innovative ideas that help make daily life a little simpler, a little more inspiring or a bit more imaginative. I think so much of the magazine's soul stems from these ingeniously simple ideas. 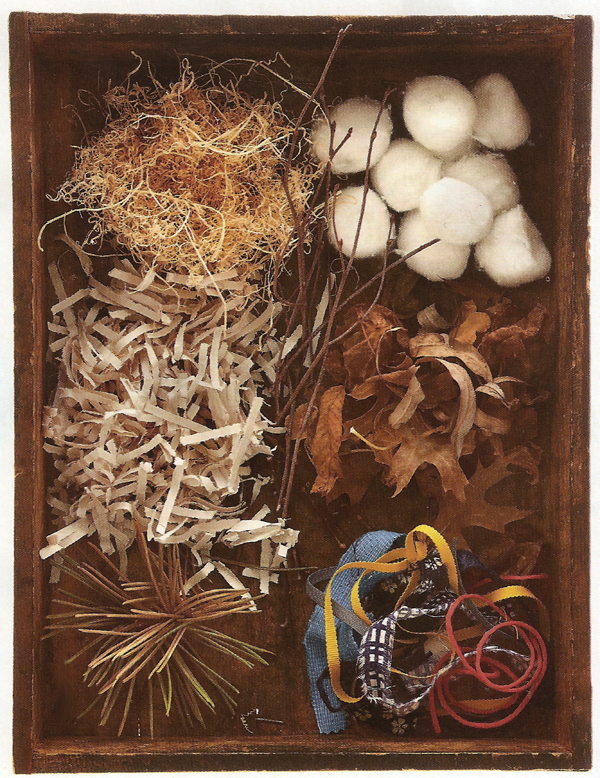 My favourite Good Thing so far this year is this one from the May issue: create a box of nesting materials for birds and set it out under the trees in your yard. Watch from the window as the birds dive down to select their choices and carry them off into the branches above. Later, as you're walking through your neighbourhood, you may spot that little yellow scrap of ribbon tucked into a robin's nest in the oak tree on the corner and know that you had a hand in helping that Mama Bird build her home! I think it's also a great way to get children interested in nature. 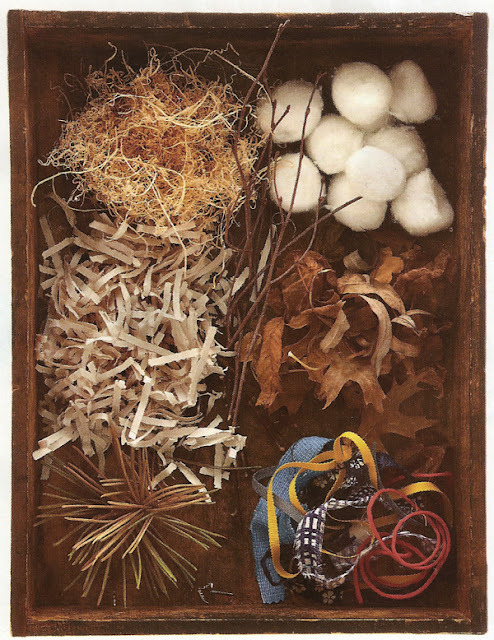 As they help you choose materials for the box, you can teach them how birds build their nests and they will be thrilled to see the birds flutter off with the offerings they chose. I like the idea of giving back to the beautiful world around us that we sometimes take for granted. It's also a great way to recycle shredded paper and donate those leftover pieces of ribbon and material to our friends in the sky. A wonderful Good Thing that I will be using this summer at the cottage!